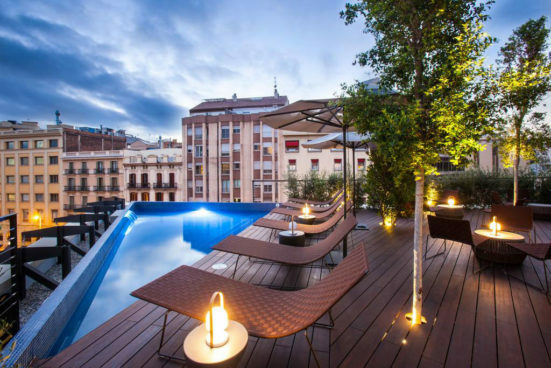 Fortunately, my friends and I all have good jobs in the city so can afford to stay in half decent hotels, which is why we choose the OD Barcelona just 200 metres from the Passeig de Gràcia in the trendy Eixample district. By the time we arrived at the hotel, it was quite late, but not late enough to not grab a gin and tonic and a bite to eat in the hotels Sky Bar overlooking downtown. Seeing as we had to be back at work Monday morning there was no having a lie-in as we wanted to cram as much as possible into our short stay. Now, no matter where I am, or what day it is, I just don’t function correctly without a cup of coffee so we all met up in the hotel restaurant for breakfast and that all important cup of Java. Back home Starbucks and Costa Coffee have cornered the market when it comes to meeting up or grabbing a cup of coffee on the go, but I have to tell you that other than Italy, the best coffee you will have anywhere in the world is in Spain. Whether you order a Café Solo, Americano, Cortado, Carajillo, Bombón or just a simple Café con Leche you will be blown away by just how good coffee in Spain really is. Now fuelled up and eager to get started our first port of call was the main tourism office in the Plaça de Catalunya where we loaded up and maps and guides to help us get the most out of our visit. From the Plaça de Catalunya, we headed back up the Passeig de Gràcia to Casa Batlló, a Gaudí masterpiece that is open to the public where we were able to take an audio tour that explained the different rooms and what Gaudí had in mind when he designed this magnificent Modernist building. Entrance and the tour are not cheap at 18€ but worth every penny by giving you an insight into the Modernist (Art Nouveau) Movement. Now having learnt all about Anton Gaudí it was off to see his unfinished masterpiece the Sagrada Família. 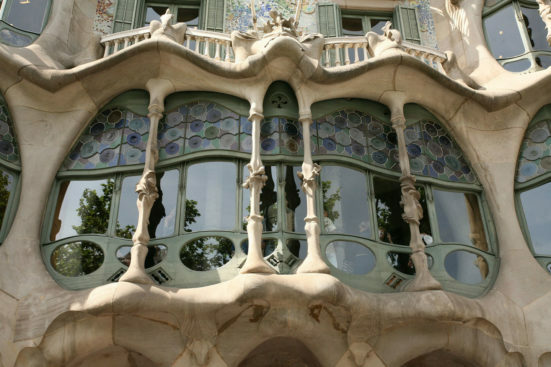 From the Casa Batlló, it is a 20-minute walk along Carrer d’Aragó before turning left onto Carrer de Sardenya. 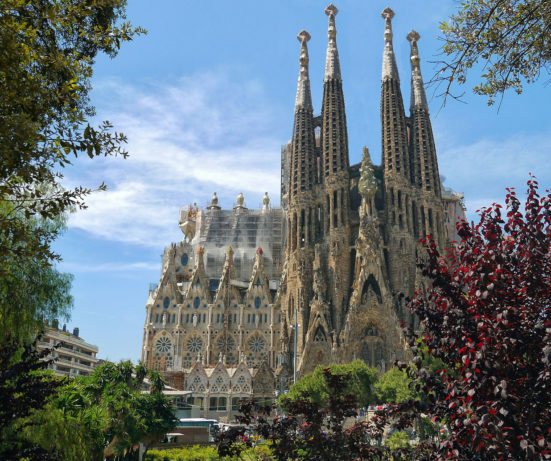 If you do nothing else while visiting Barcelona you have to see the Sagrada Família. First started in 1883 as a place of divine worship, Gaudí devoted his life to the project only seeing twenty-five per cent of it completed before he was run over and killed by a tram in 1926. Work continues on the project today, thanks to donations and is expected to be finished in 2026 to coincide with the 100th anniversary of Gaudí’s death. Now, I am not much of a churchgoer and cathedrals are never on my list of places to see, but I have to say the Sagrada Família is just incredible and too good to miss. Again, entry isn’t cheap at 20€ but at least you have the satisfaction of knowing that your money is helping to finance the most extraordinary piece of Gothic architecture since the Middle Ages. Now with Gaudí out of the way it was time to explore the Gothic Quarter and have some lunch. To get there take metro line L4 for three stops getting off at Urquinaona Station. The Gothic Quarter is an array of mainly pedestrianised narrow streets that include the remains of the city’s Roman wall and several medieval landmarks. Calling it the Gothic Quarter is a little misleading, as even though it is the oldest part of Barcelona, it was almost entirely rebuilt in late 19th and early 20th centuries to coincide with the 1929 World’s Fair. Before arriving in Barcelona, we had already decided that an hour would be spent exploring La Rambla and seeing some of the best street artists in Europe perform their acts. Then I’d scheduled some serious shopping at the Maremagnum Shopping Centre on the waterfront. Unlike other shops in Spain, the Maremagnum is also open on Sunday and contains all the big name Spanish fashion houses and more importantly, an official Barcelona supporters shop where I could pick up a Lionel Messi t-shirt for my nephew! Now off in search of the Picasso Museum on Montcada Street, we decided to stop for lunch at La Boqueria. 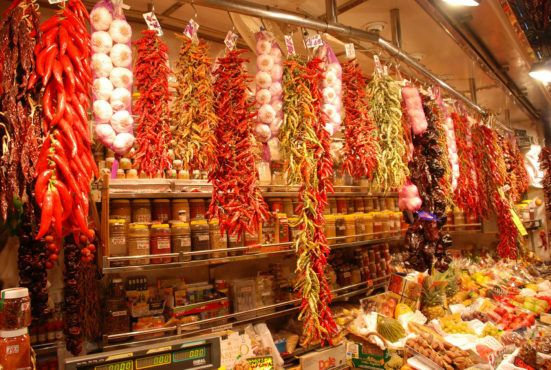 One of the oldest indoor markets in Europe La Boqueria is a culinary icon where you can find every imaginable food on the planet surrounded by tapas bars, cafes and restaurants. 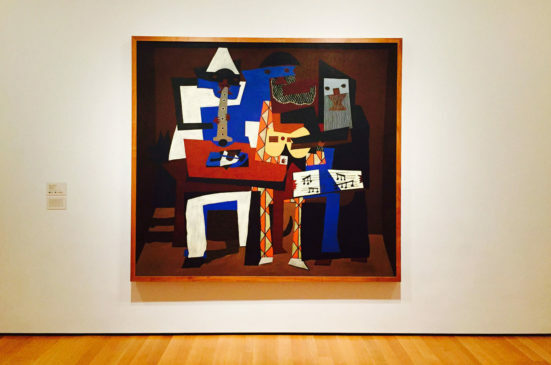 Due to Picasso’s close connections with Barcelona, it came as a bit of a surprise to find that he was in fact born in Malaga and only came to Barcelona at the age of 14 so he could attend art school. That being said Barcelona was for all intents and purposes the city Picasso most related to and the reason why the largest collection of his work is on display there. Divided up into three sections: painting, drawing, ceramics and engraving that cover all stages of the artist’s life, including his Blue Period from 1901 to 1904 a tour around the museum takes a couple of hours and costs 12€. Goodness knows how many miles we walked on that day, but once we were finished enjoying the Picasso Museum we were totally exhausted and ready to head back to the hotel. Whilst we had all heard about Barcelona’s fantastic nightlife, we decided to just chill at the hotel for the evening with a ‘gintonic’ and reflect on our thrilling experience. Wow, what a fantastic day! This is only a small insight into our Barcelona trip and while we managed to cram so much in, we only just scratched the surface of what this incredible city has to offer. 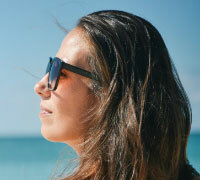 Nicola is a part-time freelance travel writer that fell in love with Spain 10 years ago. Each year she visited on holiday, she would always dream of moving to the country but needed to find work in order to stay. Just before having to pack up and leave for England, she was offered a job whilst on holiday within the travel industry with the transfer company Solhop and never left the country! She still enjoys travelling, writing about her experiences and helping others make suitable travel arrangements to get the most out of their holiday. Maybe you’d like to write your ‘perfect day’ Domingo. I spent 10 fabulous days in Barcelona and the surrounding area back in 2010 and am preparing to spend another two weeks this year. BCN truly is the most spectacular, welcoming, exciting city. Oddly enough, I was told that Gaudi’s death was caused by a load of construction materials for La Sagrada while he was walking to (or from) the job site. Good to get that cleared up. Also, kind of a classic example of the whole “as you would do to the least of these, so do you to me” thing. All those people who didn’t care that he was injured because they thought he was a pauper and a nobody.